The first ever census of undocumented Muslim minority Rohingyas who have fled Myanmar and are now living in Bangladesh is underway. The census is being carried out in cooperation with the International Organization for Migration (IOM), and information as to how the collected data will inform Bangladeshi national policy towards its Rohingya population remains unclear. Currently the Bangladeshi government officially recognises 33,000 Rohingyas living in the country. However a recent UNHCR report notes that Bangladesh is host to some 232,472 refugees and persons in a refugee-like situation, and states that “the main group of persons in a refugee-like situation are 200,000 Rohingyas from Myanmar living in Bangladesh”. Reportedly the documentation of Rohingyas via this census will not suppose the concession of refugee status to the community. UNHCR’s chief in Bangladesh Stina Ljungdell, has expressed concern about the possibility of deportation and later return of the Rohingya due to rejection from their home country of Myanmar. 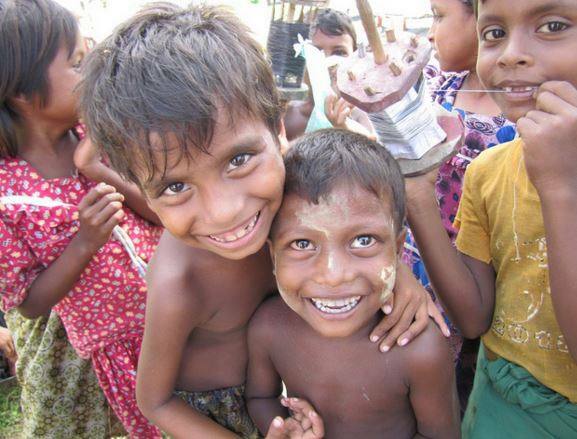 Rohingyas are a particularly vulnerable demographic group, and are widely considered stateless. Denied citizenship in their own country of Myanmar, many Rohingyas are residing in Bangladesh, and all are at risk of detention. Bangladesh holds to the Foreigners Act (1946), which allows for the detention of any foreigner, regardless of the reason the foreigner is in Bangladesh. There is no distinction made between those who seek asylum and those who enter the country illegally. Bangladesh’s National Human Rights Commission details the situation of ‘released prisoners’ in a report published mid 2014. A ‘released prisoner’ is an individual who is detained by the prison authority even after his/her term of imprisonment has been duly served. Foreign nationals when detained after they have served their term fall under the consular jurisdiction of their respective embassies to whom they are released. However if the consulate is unwilling to arrange for their return (and as the Rohingya are not considered citizens of Myanmar this is often the case) then they can be held in detention long after they have served their sentences. A more detailed understanding of the situation of Rohingyans living in Bangladesh may well be established upon the completion of the Bangladeshi census. Whether this will lead to good outcomes or ill for vulnerable Rohingya communities is yet to be seen.